I was lost in my thoughts, amazed by the sky, feeling the fresh wind on my face, until the gentle waiter interrupted me with a big smile and one more glass of wine. What a perfect evening, Rob and I on this beautiful boat, sailing during sunset time. I didn’t expect that a trip to Langkawi, Malaysia, could become such a romantic getaway. Ohh, well… let´s enjoy it! It was a perfect moment, and believe or not, that was only our first day in Langkawi, Malaysia. I never thought the island could be such a romantic destination. We knew Langkawi as a nature paradise, but we never thought it would be a perfect place for a honeymoon. In our case, second honeymoon. Our mission in Langkawi, Malaysia, was to explore the beautiful island and enjoy all the attractions. A big thanks to Naturally Langkawi and LADA for inviting us, the island was on our bucket list since we arrived in Southeast Asia. However, I never thought I would be writing about Langkawi as a romantic destination. What a great and lovely surprise! Why Langkawi is a Perfect Romantic Destination? I know, this is a silly question! But some of us don´t have romance flowing in the veins, so I will use my sassy skills to explain a very simple thing: Langkawi, Malaysia, is a lovebirds paradise. And I only need to give you 5 reasons! – 1º » Beautiful Beaches & Untouched Forest. Inspiring! The famous beaches in Langkawi are Pantai Cenang (busy and watersports hub), Tenagh (not so crowded but still an urban beach) and Tanjung Rhu (white sand secluded beach surrounded by small islands and fabulous sea). If these beaches are not romantic enough for you, I have a solution: rent a private boat and explore the other 99 island around Langkawi. Trust me, you wont regret! Even in high season you can hide yourself in some magnific spots. If you want to celebrate love, here is our suggestion for hotels in Langkawi, Malaysia… Some of them have been romantic tasted by us! At Berjaya Resort you can get more than a view. The chalet on the water is the ultimate lovebirds’ paradise, from the jacuzzi you will have the best sea view in the island. BOOK YOUR ROOM AT BERJAYA NOW! Berjaya resort was our nest for a week, but we have the opportunity to check other hotels in Langkawi and two of them blew my mind. If you want to stay in a stunning place, with private beach and a swimming pool only for adults, the Four Seasons at Tanjung Rhu beach is the perfect romantic address for you. The rooms are top notch! 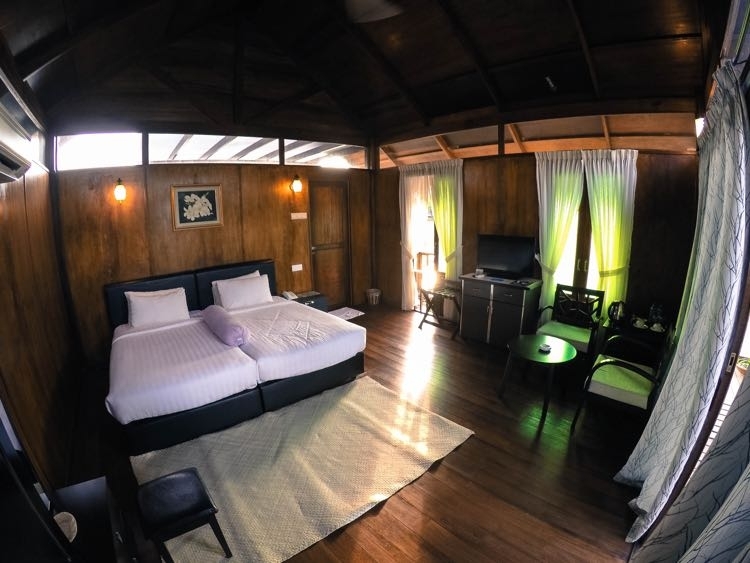 For a different atmosphere and unique experience stay at Gemalai Village. 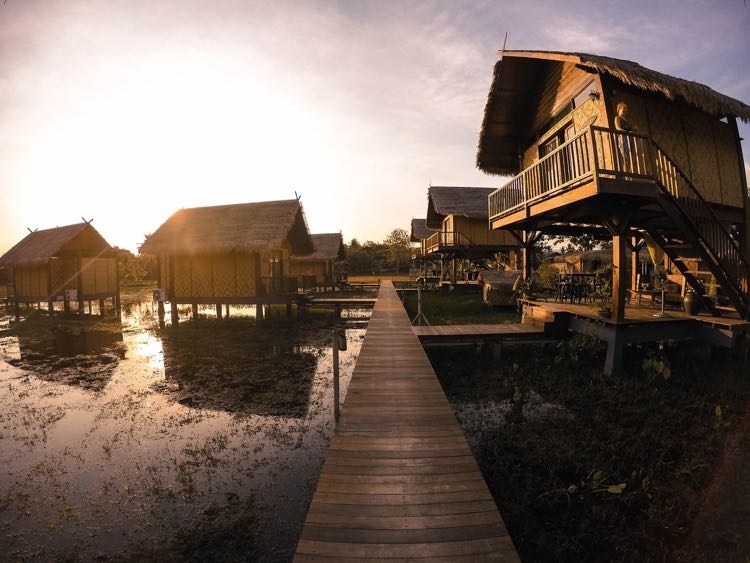 The bungalows are built on stilts over a paddy field. The design combines the Malay traditional houses with modern facilities and comfort. The place is unbelievable beautiful, surrounded by fields, birds and buffalos. Like a fairytale! If you had strength enough to leave your beautiful hotel, go and enjoy the island. Langkawi, Malaysia, is a natural paradise. In 2007 UNESCO has nominated Langkawi as a GeoPark and since that the environment has been even more protected and the eco-tourism received a big boost. Some attractions in Langkawi, Malaysia, are truly romantic, meant to be done by couples. – Sunset Dinner Cruise: no doubt this was one of the most romantic things we did in Langkawi. A huge boat sailing around the islands, delicious dinner, drinks and stunning sunset. It can´t get wrong! For your perfect cruise contact Naam Adventure, those guys rock! – Massage on The Beach: most of the hotels have special service and packages for honeymoon or romantic getaways. Talk with the staff and check their options for couples massage. 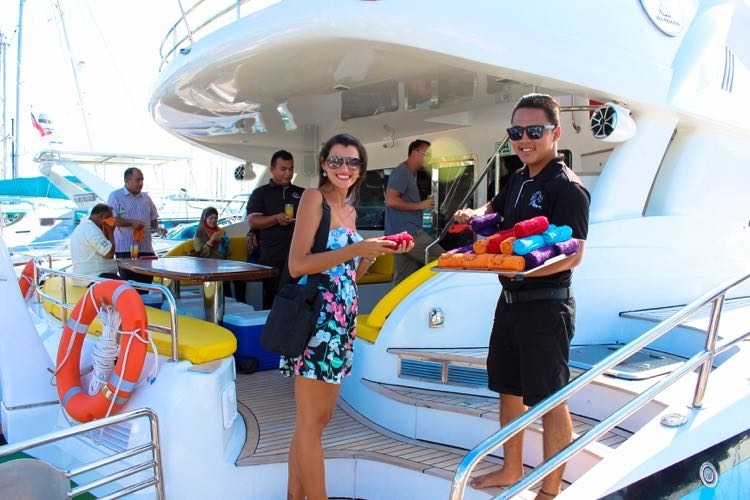 – Private Sailing: many companies in Langkawi offer private boats for day sailing. You just need your sunglasses and sunscreen. Don´t forget to ask the captain to take you to secret beaches and hidden spots. – Spa & Wellbeing Centers: I don’t know you, but I never get tired of being pampered. In Langkawi, in the middle of the island, the sea water flows from the ground in high temperature. At Air Hangat Village (salt water hot spring) you can relax your feet and legs in one of the pools and after go for a massage, jacuzzi or some beauty treatments. Naturally Langkawi has a good Spa Guide, where you can find all the information about the facilities, services and locations. – 4º » Someone Said: “Food is Aphrodisiac”, I Agree! Good food is easy to find around Langkawi, Malaysia. Seafood lovers will be in heaven there. 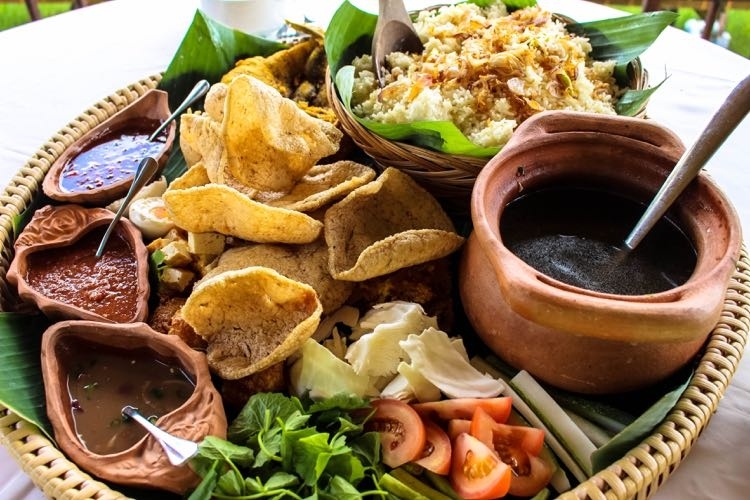 My pick for a delicious fish meal is definitely Orchid Ria on Pantai Cenang beach. You can choose your dish straight from the aquarium and eat in a local atmosphere. Nothing is fresher than that! For a romantic dinner go to Seashell Restaurant. Book a table outside, in the middle of the paddy fields. You won’t regret. The vibe of this place is unique, there we tried the traditional Malaysian recipes, seafood, fish and the most delicious meal we eat in the whole trip! After a long day exploring Langkawi, or sunbathing on the beach, the twilight is the moment everybody is waiting for. From the boat, from the beach or from the balcony of your hotel, doesn’t matter, sit beside your love and enjoy the beautiful nature! One more day is finishing and tomorrow a new opportunity to life and love, that is an excuse enough to be happy and celebrate! One more wine please! I know that not everybody is romantic as me (actually I don’t consider myself a super romantic girl), but for sure Langkawi will melt your heart. The island is so relaxed, friendly and full of couples that seems the love is floating on the air… It´s something contagious I think! Even Rob was catch by this lovely wave. I didn’t complain at all! During our stay in Langkawi, Malaysia, we met couples from all around the world. From USA, France, Pakistan, Saudi Arabia and Syria. As usual we were the only Brazilians there. But my point is, Langkawi is a perfect romantic destination for different types of couples, because it has so many different attractions. No doubt you will find a perfect activity and perfect accommodation for you romantic style too. For me the only down side of Langkawi is that all the attractions and hotels are far from each other. So be prepared to use taxi or rent a car, because the lovely mood won’t last after such long walks. However, a positive thing: the taxis have fixed rates. From one point to another in the town you will pay a fixed price and most of the hotels have the price list on the reception. So you don’t need to bargain! Do you plan romantic getaways? 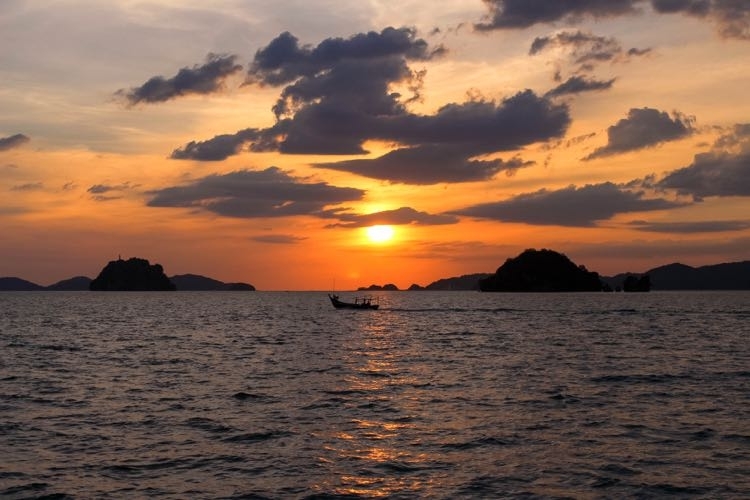 Have you already thought about Langkawi, Malaysia, as a romantic destination? Leave your thoughts! Aaaaw I love seeing you guys happy! So glad you enjoyed the trip to Langkawi! Too bad we missed each other, we should have gone there at the same time…. Hugs to both of you!! That´s so true, we would have tons of fun together!! But it´s ok, I´m sure we´ll catch up soon in Europe! Romantic, beautiful, AND tax-free? Langkawi looks like the perfect place to me! You guys look so happy there. I hope I get to visit sometime. Enjoy! 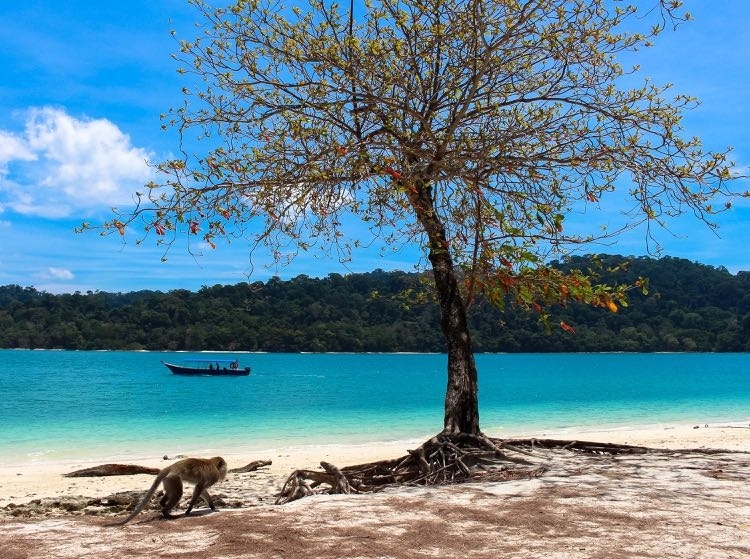 If you have a chance to go Langkawi don´t think twice Doreen… This island is beautiful! That place looks like you’d never want to leave! Does anyone bring children there or are they intentionally marketing themselves as a couples-only resort? Langkawi is super beautiful… There are plenty of families and children around there, some of the hotels have different swiming pools, one for children and families, and another one just for adults that want to relax in quite vibe. The island itself is perfect for childen, specially because of the quite and shalow beaches. Now that place does look and sound pretty incredible! It is very rare that a stay at a resort/higher end hotel is our kind of thing (we’ve stayed in 2 over the past 6 years of travel together), but I know Langkawi is incredibly popular with Australian honeymooners. We just parted ways with Langkawi today and fell in love with the island. You have captured it so well. I´m glad you you liked Langkawi too, Heidi! It´s a very special place. Where are you guys heading to now? You had me with that first cruise photo. It looks absolutely the most romantic ever. I’ve not made it to Malaysia yet, although I have wanted to go for a while. Now you’ve put Langkawi on my radar. And that fish! Can you share what seasonings typify the local cuisine? I´m happy you got interested in Langkawi. It is definitely an amazing place to visit. About the food… OMG! Super tasty, a bit spicy but delicious. It really looks like a very romantic destination! The beaches are awesome and your hotel looks amazing! We do had a incredible time in Langkawi, Malaysia! 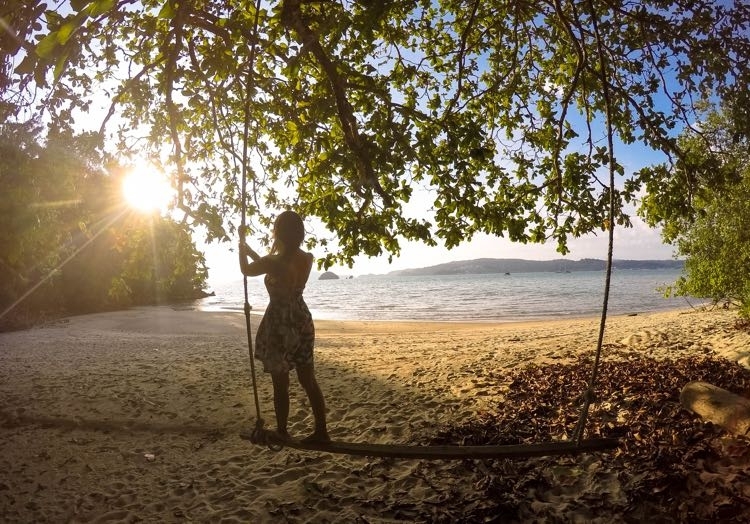 If you travel to Southeast Asia put this pretty island on your radar! This sounds perfect, thanks for featuring Langkawi!! We’re always on the look out for romantic spots around the globe – technically we were married back in 2013, though we like to see our world travels as one never ending honeymoon 😀 So glad you both had a spectacular time! Wow, this place looks absolutely gorgeous!!! Glad you had a great time! Langkawi is definitely a gorgeous destination! Romance oozes in Langkawi! I can tell from these photos that its scenic views, and laid back atmosphere are perfect for any couple. I’m hooked on that resort though! The bath and accommodation’s facilities are kind of making me jealous! That jacuzzi is definitely the highlight of the hotel Andrea! I haven’t been to Langkawi but I love Malaysia! Would definitely like to go next time I’m in SE Asia. Put Langkawi on your next trip to Malaysia, I´m sure you won’t regret! This week we´ll be publishing a new post about Langkawi and all the activities in the island… Stay tuned for more travel info! Nat, I definitely have to contact you about this great itinerary and that hotel room is really pretty!!! I am glad you guys are having fun in my continent. It’s been years since I was in Malaysia! Will be my pleasure to share all the details about Langkawi, send me an email with all the questions you have. What a lovely place! It definitely looks like a romantic getaway! And I LOVE seafood almost as much as taking photos of a beautiful tropical island. Tracie, if you like seafood you will be in heaven in Langkawi. The seafood and fishes are amazing there and actually it´s a bit hard to find beef and chicken there… The fishes are always so fresh and tasty that we didn’t think about eating anything else..
Great article! Last time I’ve been in Malaysia I only got to see Kuala Lumpur, but now I feel I need to go again and see the beaches! It’s truly a paradies! Yes, Langkawi is a paradise for beach lovers! Hmmm, I can’t believe you stay in Berjaya Hotel still within your daily budget ($50)? I’m Malaysian, and my first experience in Langkawi wasn’t that happy, and that is my last trip to Langkawi. We had a great time and met lovely Malaysian people. As we mentioned in the post we got invited to visit Langkawi, that´s why we had the chance to stay at Berjaya. But even with our tight budget of 50 usd per day, once a while we pamper ourselves with good hotels. It´s just a matter to find the balance and research well! Malaysia government always treat good to foreigner!! Not local!!! Haa.. sorry to spam your mailbox. Hope you n Rob continue enjoy your life and wish your travel series NOT end soon. Will come back for answer when i got PLAN to FLY! I have to say that you missed an amazing place. But don´t worry, Langkawi is still there waiting for you!!! The sea there is stunning!!!! Betsy, The service at Berjaya is impeccable! you will love it! I totally agree, Langkawi is amazing and you both looked like you had an amazing time there. 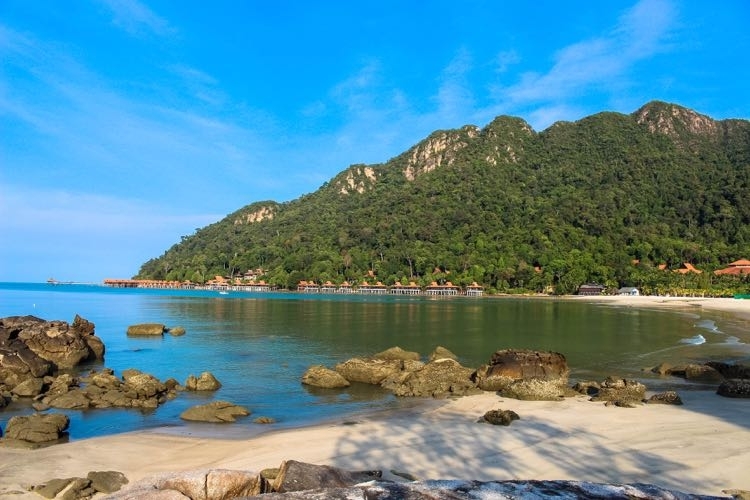 I also loved Tioman island in Malaysia, just to give a comparison, not as upmarket or fancy as Langkawi, but the hidden, untouched feel – especially on Juara beach – was just as perfect for me. I just googled Tioman island and … WOW looks incredible! Firstly, I would like to compliment you on your photos. Your shots are really clean. OMG! If Langkawi doesn’t say romantic, then I don’t know which destination will. The beaches, sunset and everything else are really beautiful. It was quite a view!!! I bet Havana has it charm too. It does look like such a romantic place! THAT JACUZZI. Wow. I would love for Justin and I to go here, forget about all of our worries, and relax and enjoy. Amazing. WOW!!! You guys have sold me on this island. I’ve never even heard of it. 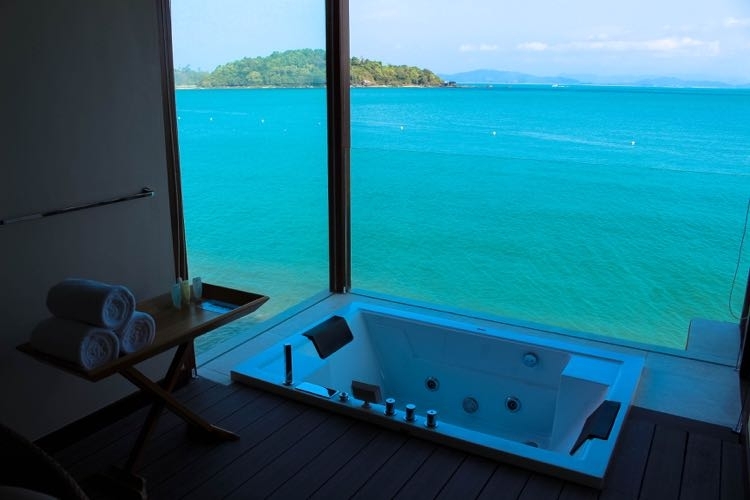 That jacuzzi with a view…. 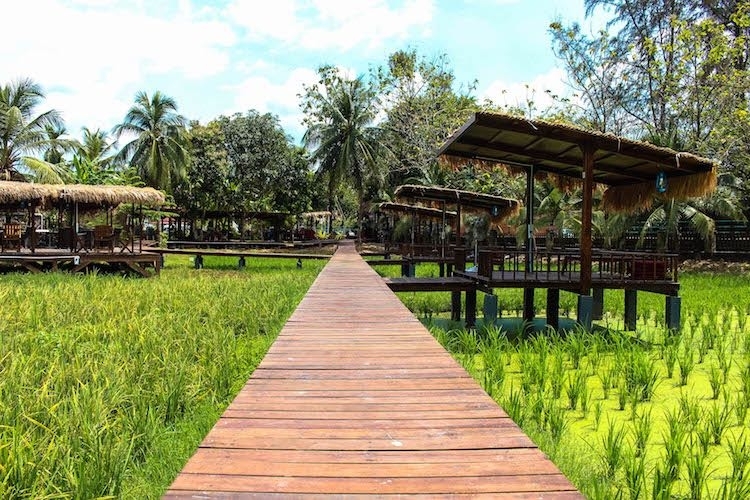 The paddy field restaurant, the food— the pictures are gorgeous! Langkawi is an incredible place! Does one really have to be romantic and travel there with a partner to enjoy it? Because I am single and NOT romantic at all, but you guys made me wish I could go there! What a stunning paradise! Malaysia is on our SE ASiA hit list when we make it over there. While it may not be relaxing with two little boys running around, i can’t complain about sitting on beautiful beaches like those! It’s easy to see why Langkawi is a romantic destination! It looks like the perfect ambiance and atmosphere to escape to with a loved one. I can feel the romance just from your pictures alone! Langkawi is great for a luxury trip…we were just there in March! We had a blast there Hannah!! Any plans to go back to the island? Langkawi is a special place, we have been there twice and can´t get enough of it. Happy to know that you enjoyed it too, and that you liked our photos! Thanks for stopping by! i totally agree…just came back from Langkawi last week..Celebrated our first wedding anniversary there and really had a great time! So happy to hear that!! For me Langkawi breaths romance!! Wish you and your husband all the love and happiness!!! Thanks for your comment! Been to Langkawi twice but never made it to Penang. Spending some days at an Island is really an amazing experience, that could create beautiful memories which you can keep in your heart for long life. After seeing the images of this beautiful island, once again, I am willing to be there. Great memories from Langkawi, for sure! Amazing recommendations. Maybe you need to check the Rooftop in Cenang too — for they have a small open air movie on top of the roof, and by the beach next time you’re there. This sounds fun! we’ll check them out for sure! You’ve sold me on Langkawi. Your photos are stunning! The third one is unreal. You two look like such a happy couple! Langkawi is magical! That photo was in one of the tiny islands that surround Langkawi, we went there by jet ski and spend hours of pure relaxation! Incredible pictures and amazing place, Natalie! I would love to visit it one day! Tks! Glad you enjoyed the post. Put Langkawi on your next travel plans!